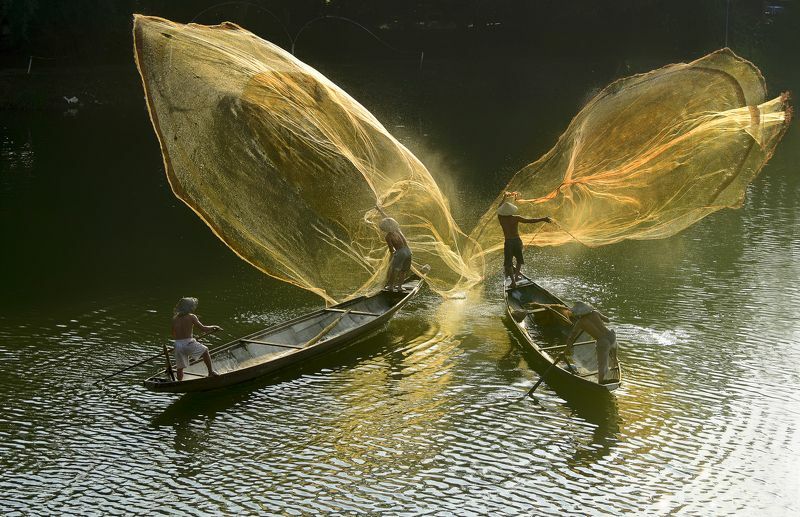 In the rivers of Hue City, fishermen often launch fishing nets. The scene is very beautiful when the net at dawn or sunset. Sometimes, the two boats will throw together the grid so it looks like a butterfly's wings. Photos taken in February 2, 2018 in the spring should be named: "Spring Butterfly"